Download NTPC Admit Card for Diploma Trainee (2nd Stage) Exam!!! Officially, NTPC Diploma Trainee Admit Card is out on its official website. 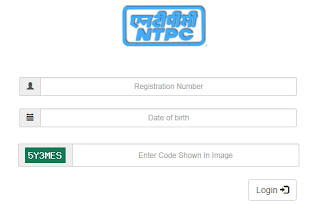 You can go through online mode and download NTPC 2nd Stage Admit Card easily. To hire 392 Diploma Trainee, National Thermal Power Corporation Limited has decided to conduct NTPC Diploma Trainee 2nd Stage Exam on 25-08-2018. Aspirants can download NTPC Hall Ticket before NTPC 2nd Stage Exam Date because it is vital document to carry in exam. Direct Link for NTPC Diploma Trainee Call Letter is now active. You just need to enter your NTPC Login details and you can get your NTPC 2nd Sage Call Letter easily. Also, you can press below given link to download NTPC Diploma Trainee Hall Ticket. Candidates, who want to download the NTPC Admit Card 2018-19 directly, may go through below stated page which is well created by the expert team member of www.privatejobshub.in. After navigating to home page, hit on “CAREERS” tab, given at the top of home page. On next page, you need to hit “Jobs at NTPC” link which is available in left side. Further, select “Advt. No. 02/18- NTPC is looking for Diploma Trainees 2018 in Electrical, Mechanical, C&I and Mining” and hit on “Press here to view the advertisement/apply” link. This will redirect you to another page where you have to hit on “Rectt. of Diploma Trainees 2018 in ELectrical, Mechanical and C&I (Electronics/Instrumentation) for SRHQ (Kudgi, Karnataka) [Date of Online Aptitude Test is 25.08.2018. Please download Admit Card]” link. Further press “Download Admit Card” link that is given in left side. At last get printed copy of NTPC Diploma Trainee 2nd Stage Admit Card and bring it at the time of exam. What after NTPC 2nd Stage Exam? National Thermal Power Corporation Limited is going to conduct the 2nd Stage written Exam on 25-08-2018. NTPC 2nd Stage Result will be released soon after completion of exam on the official website. Applicants who will qualify the NTPC Diploma Trainee 2nd Stage exam will have to appear for further selection round that is interview round. All the qualified candidates will be called interview to test the skills of each applicants. Candidates, those who want to download NTPC Admit Card 2018-19 must go through the Official Link to get all latest updates and interesting facts directly to your timeline you can follow us on Facebook or Google plus.